The title should read: In defense of Pigliucci with one major caveat! I’ll get to what it is later. It’s not uncommon to find people who take the view that ‘atheists’ (since I’m reading Boghossian currently I won’t even attempt a definition of the word but I’ll let you define it however you please in the hope that this offer annoys you as much as it does for me to make it) are a nice homogeneous group who could sit down at Starbucks together, sit on the comfy leather sofa side by side, and sip their frappuccinos as they reminisce the best Hitch one-liners and laugh at the nonsense that is theism. Of course, nothing could be further from the truth. Whatever one thinks about the very public, and often quite nasty, disputes taking place among modern atheists one thing is certain. Some atheists would not even be seen in the same Starbucks. Who would have thought that a group who were so unified by their status as “non-stamp collectors” could be at each other’s throats so much? Could it really be that they make some doctrinal affirmations after all? Pigliucci begins by saying something about the history and nature of New Atheism. He distinguishes it from, what he calls, classical atheism and says something about the rise of scientism. He then gives a brief overview of classical atheism in the western world and contrasts the attitudes of the New Atheists with classical atheism. As he begins to do this is he careful to note that there are different varieties of New Atheism and that a criticism of one version may not be a criticism of another. He views Hitchens as being more interested in historical cherry-picking in the form of an “anti-religious polemic” and Dennett as attempting to give a natural account of religion (which he seems sympathetic with). It is clear that he is not turning his guns upon them as his treatment of them is extremely brief. It is when he talks about Dawkins, Stenger and Harris that he begins to have strong disagreements due to, what he perceives as, their scientism. Talking about The God Delusion, Pigliucci notes that Dawkins does not say anything new in his criticisms of the traditional theistic arguments and that all his is doing is “simply rehashing” previously existing replies, that he makes an attempt to explain religion away with a natural account which Pigliucci thinks is “somewhat superﬁcial”, and he contends that Dawkins is even weaker when discussing the question of morality where he fails to engage with atheist philosophers to any significant level. Nothing too controversial about that. 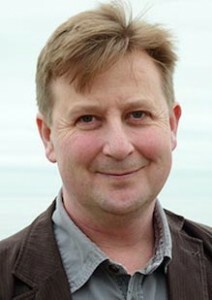 He points out that Dawkins is particularly lacking when attempting to critique religion as if it were a scientific theory and he notes how Dawkins appears quite happy to appeal to philosophical principles of science (such as Occam’s Razor) in his own defense while not permitting anyone else to appeal to philosophy. Many people have also noted this inconsistency in Dawkins as well. Pigliucci thinks that Stenger’s version of the same message, God:The Failed Hypothesis; How Science Shows That God Does Not Exist, is close enough to be similarly flawed. Pigliucci makes it slightly personal when he voices his concern over what makes Stenger and Dawkins think they are qualified to talk on these subjects but I think this flows from his frustration (and he’s not alone) that most celebrity New Atheists simply don’t do the academic job well enough. Pigliucci’s last example is Sam Harris’s The Moral Landscape: How Science Can Determine Human Values. He notes how Harris’s book fits into the New Atheist metanarrative of trying to explain everything through the physical sciences. Pigliucci is, of course, not the first atheist philosopher to have serious issues with this book from Harris. Pigliucci notes that Harris attempts a ‘bait and switch’ on his promise that his account of morality will be scientific since, in the footnotes at the back of the book, “he acknowledges that he “do[es] not intend to make a hard distinction between ‘science’ and other intellectual contexts in which we discuss ‘facts.’ ” (p.149) He is also critical of Harris because Harris dismisses doing the necessary philosophical critique on the excuse that he appears to find it boring! I think that this criticism is spot on. Imagine if a Christian theologian were to write a book defending the concept of the existence of God and yet refused to engage with any of the primary philosophical arguments made in the last two thousand years since people might find it to be boring! Harris needs to be called out on this and it’s encouraging to see that it’s not just theists who are keeping him on his toes. Piggliucci finishes with three reasons why he, as a scientist and a philosopher, thinks the New Atheism has been bad for atheism: 1] Scientism is philosophically unsound. 2] Scientism does a disservice to science. 3] Scientism does a disservice to atheism. What I would like to note are the replies Baggini and Pigliucci have received for taking the trouble to offer some critique of New Atheism from a perspective which is sympathetic to the view there is no God. I think when you look at how they have been treated you begin to see why I chose the title I did. then we would expect that there would be plenty of examples of grateful, humble, even thankful replies from within the New Atheism to Pigliucci’s recent piece. “the paper just drips and seethes with jealousy”. I have to say that I did not get the feeling of jealousy coming from Pigliucci’s paper in the slightest. What I do pick up very quickly is how Coyne is linguistically framing this as a war with distinct sides which must be chosen. Any criticism leveled at anybody who has sold lots of books, or had what the world sees as ‘success’, could be perceived as being motivated by jealousy. But how does Coyne know this is Pigliucci’s motivation? Since no evidence is documented, one could just as freely suggest that Coyne is projected his own feelings of jealousy onto his reading of this paper. Now it may well be that Coyne has some genuine disagreements with Pigliucci on how New Atheism is to be read (and I’m quite certain I cannot iron them all out in one blog) but notice the tone right off the bat. Coyne is beginning with an outright ad hominem attack. Even if there were real evidence for Pigliucci being jealous of the New Atheist celebrities, and the attention they get, so what? It’s a principle of logic that you cannot discredit someone’s argument by pointing to their motivation for having the argument. Yet this is exactly where Coyne begins. It’s not very persuasive and it certainly reads as being far more “mean-spirited” than Pigliucci’s paper (which I don’t think was mean-spirited at all). Read his response and judge for yourself. Is Coyne dogmatic or not? I’m not going to tell you what to think. What I will do is interact with Coyne’s response (in terms of the substance) in another post since I think there are some really interesting matters which crop up. As for Sam Harris’s tweet I’m not sure that warrants a response at all given how utterly pathetic it is. Then, in a truly fantastic example of how to make your opponents point for them, he uses the difference between plumbing and philosophy as being analogous to the relationship between a conversation about the rationality of the existence of God and doing academic philosophy of religion! That is in italics in the hope you will read it again. Yet this is exactly the point Pigliucci is trying to make to the New Atheists about where their rationale fails. I would like to make a note from a theistic perspective to finish and it’s one that the atheist philosopher Michael Ruse also noted when the New Atheism first came on the scene. The New Atheists are typically dismissive of theological / philosophical explanations. They are ridiculed as “deepities” (Dennett) or dismissed as meaningless philosophical speculation (Dawkins). Yet the irony now is that the New Atheists want everyone else to treat them with the utmost respect. They don’t want to be seen and judged as a homogeneous group with a single doctrinal stance. They wish to be understood as a group with differing points of view and subtle nuances. I hope you can pick up the grin on my face as I write this? This is so incredibly ironic since the complaint theists have had right from the start, when Harris and Dawkins first published, was that the New Atheists were not spotting the nuances and subtleties of theism. New Atheist celebrity writers (on the whole) ignored and scoffed at that criticism. They opted for quick generalizations, self-generated one-size-fits-all labels, soundbites as opposed to engagement, and stereotyping to the nth degree. But now they complain at being treated this way by those who don’t agree. Oh the sublime irony! The key difference in method between Pigluicci and the New Atheists is that at least Pigliucci interacts with the primary intellects behind the movement. What Christians have been crying out for is that New Atheists do the same for their religion. What exactly is the difference between your approach to theology compared with the New Atheists? Given you appeared to take a little jibe at theology in your paper, what exactly is the difference in academic rigour between analytic theology and metaphysics? Is there really a sharp distinction between philosophy of religion and theology? If so what is it? How is Grayling’s approach in chapters 5 and 6 of The God Argument greatly different from the scientism we find in the New Atheism? In your opinion, can a Christian be an evidentialist? What did you think of Swinburne’s The Existence of God? At least there appears to be some basis to begin a conversation with Pigliucci. This is something I find sorely lacking in the New Atheism. And maybe one day… who knows!! You can download it for free here. And Pigliucci’s blog can be found here. Nagel’s review of the book can be found here. Pigliucci writes about that same book on his blog here. He cites atheist philosophers De Botton and Anthony Grayling as examples to be followed. This is where I would take a slight issue with Pigliucci as I do not agree that Grayling is quite as unsympathetic to the New Atheism as he thinks he is. Even though Grayling certainly does not adhere to a crude form of scientism he does appear to want to polarize scientific ways of knowing with religious ways of knowing which is so often found in the New Atheist literature Pigliucci has been pointing to. Grayling’s view is that religious claims are “untestable” by a scientific standard. Now that seems a lot like the New Atheist message to me and I have to say, after reading The God Argument I would consider Grayling to be a better bedfellow to Richard Dawkins than to Alain de Botton. Scientism vs. Philosophism? by Jacques Rousseau – This is a lot fairer in my opinion and shares my concerns about how the discussion is being framed. 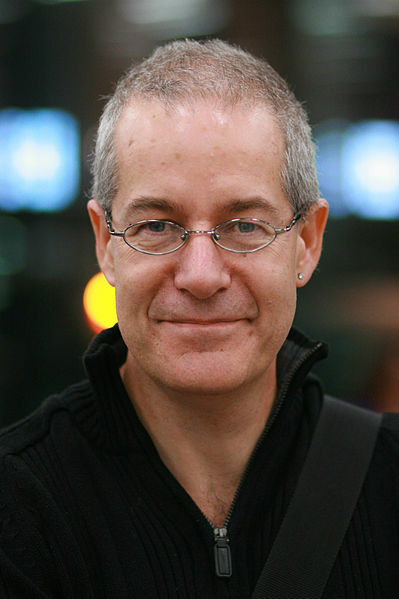 Massimo Pigliucci’s critique of New Atheism and scientism by coelsblog from a New Atheist position. Territorial demarcation and the meaning of science by Larry Moran. This entry was posted in Atheism, Atheist apologists, Philosophy, Science and Religion and tagged Anthony Grayling, Atheism, New Atheism, Richard Dawkins, Sam Harris. Bookmark the permalink. Enjoyed your article very much. I’m a big fan of Massimo. I’m glad you did Bob and thanks for taking the time to say so. I put you in my RSS feed, so I’m looking forward to your future articles as well. Looks like ours is the age of the Ad Hominem; new atheists, old atheists, fundamentalists, secularists, liberals, conservatives, sophisticated theologians, Catholics, Protestants . . . in religion or politics, all seem to rely heavily on logically irrelevant Ad Hominem attacks. Yes, it would certainly nice if we could stick to ideas and positions. Let’s assume that I am a New Atheist. I have no idea who the primary intellects are in theology nor what their arguments are. I do not have a PhD in philosophy and limited time available. Whose illuminating and engaging theological works should I be reading? I would much rather NOT assume you are a New Atheist! It’s unlikely you are because you’re enquiring about the key intellectuals on the theistic side of the discussion. I have a short list of my favourite Christian philosophers from modern times on my ‘About me’ page which might help. All of the people on that list are taken very seriously in academia. Do you have a particular topic in mind? If you do then it’s possible I could recommend a specific book. The good news is one does not need to get a PhD in order to correctly understand monotheism (or any specific religion for that matter). All the best. Thanks for your reply. If by New Atheism you mean agreeing with the views of Stenger, Dawkins, Dennett, Grayling etc, then I am not so far away but I find that it is only really the opponents of New Atheism that lump all of the authors together and consolidate their views. Unless we begin with a definition of New Atheism that precludes interest in any theological arguments, then I think its a safe assumption for this conversation. Many atheists without philosophical training have never read or heard a compelling theistic argument, and I count myself among them. The New Atheists have engaged enormous numbers of the public to think about issues of existence, origins and morality in a completely accessible way – even their opponents cannot deny this. So my first question is whether there are generalist, accessible books that make the theistic case in a way that you would recommend them to open-minded (New) Atheists. Well, I think may see certain trends of thought which make it possible to lump them together. They have, in some ways, also done this themselves (referring to themselves as a group with a distinct mission). So I think it’s a helpful label since it describes a set of atheists who are not like all other atheists. Atheists ought to welcome the distinction in this sense since, by using it, we are noting not all atheists agree with New Atheists. But I think Pigliucci brings out some of the key themes within this group. A label is not a dismissal of a position though obviously and I don’t know anyone who thinks it would. I think it’s a shame many atheists have not heard a “compelling theistic argument” but I think the reasons for this are many. In my experience it’s often because they refuse to read anything written by a theist which does not appear to be a very good reason I don’t think. It’s true that the celebrities of the New Atheism have engaged huge numbers of laymen on this subject. In fact I have heard many theists thank Richard Dawkins et. al. for putting the discussion back on the map in popular discourse. Most theists I know think this is a good thing and I would agree. Where they have had far less success is convincing academics of their arguments. Your question can be answered in the affirmative. In fact, I did suggest one such book at the bottom of my piece on Pigliucci. 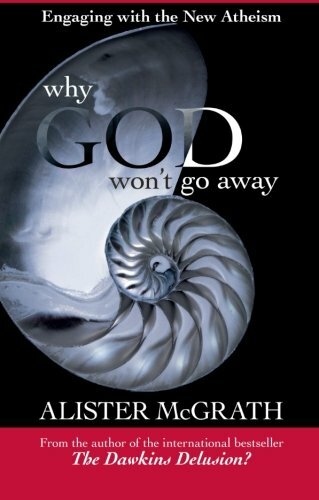 I recommended Alister McGrath’s ‘Why God won’t go away’. If you want a direct rebuttal to Dawkins’ ‘The God Delusion’ then I would recommend Keith Ward’s ‘Why there almost certainly is a God’. I also think that David Bentley Hart’s ‘Atheist Delusions’ is a good response. A good popular-level book not aimed at New Atheism but more general I would recommend is John Cottingham’s ‘Why Believe?’. Hope that helps? I would add that IMO “proof” is a subjective thing. I know that might sound hard on the ears, and it was hard for me to swallow at first as well. But I was convinced of it and now as a lawyer who has to prove things all the time it is a basic maxim. Is my case in front of a judge, or an arbitrator? If so who is it? I know there are some things I will not be able to convince them of no matter what the facts show. Is it a jury then I know I need to explain allot of the evidence and I shouldn’t take any prior knowledge for granted. Cover your bases. The same goes for theists trying to explain why they believe to atheists. (and vice versa) I can explain my own views but I can’t guarantee it will be a “proof” to anyone. Its one of those things that requires a dialogue to really get to the crux of the differences. A philosopher, (Anthony Kenny) once asked how does one know Australia exists? For example I have never been to Australia. I might say I know it exists because it is in an atlas. But really even if the atlas left it out i would tend to think that is a problem with the atlas rather than disbelieve Australia exists. Beliefs can be funny that way. I think the only way to really get to the bottom of things is a dialogue. At least at that point you can identify the disagreement. Thank you for that list. I didn’t ask for your recommendations in order to attempt to make a point – I intend to read some of these and look carefully at the arguments made. As an atheist I would actually prefer to engage with the arguments that Christians and Theologians regard as the most sophisticated and important – thanks for helping with that endeavor. Anti-theists PICK AND CHOOSE whichever facts suit their agenda while ignoring or minimizing inconvenient ones. Thanks. I am following your blog. Keep up the good work! Great write-up! I am a Christian but appreciated Pigliucci’s critique and and also really enjoyed what you shared in this post. As Michael Novak comments about the New Atheists’ publications, “they have an odd defensiveness about them – as though they were a sign not of victory but of desperation.” One small but important editorial note: The title of Pigliucci’s essay is, “New Atheism and the Scientistic Turn in the Atheism Movement.” It reads “the Scientific Turn” at the end of the 4th paragraph. Thanks Ben. Glad you enjoyed it. Thanks for correcting my typo as well.